NHS Grampian announced today the formal opening of the new multi-storey car parking facility at their Foresterhill Health Campus. Funded by The Wood Foundation (TWF), the £10.7m Lady Helen Parking Centre, built to improve car parking facilities at the hospital, is one of the largest single charitable donations to the NHS in Scotland. TWF, the philanthropic foundation set up by Sir Ian Wood and his immediate family, offered funds for the project in 2015, paving the way for construction to take place without diverting public funds from vital front-line health care services. The project was later approved by the NHS in 2016, and one year after construction began, the car park is now ready for use. Championed by Lady Helen Wood, the new car park will provide an additional 1,000 parking spaces exclusively for patients and visitors. Sir Ian Wood said: “We are delighted to see this project come to fruition. For many across the North East, the car is the only solution to get them to hospital and we are very aware of the anxiety and frustration caused by a lack of adequate car-parking. “My wife Helen has been the driving force behind this project, recognising the distress felt by patients and visitors when trying to park their cars when attending for treatment or visiting loved ones during what is an already stressful situation. 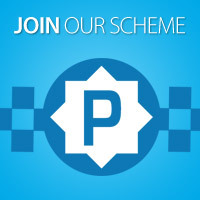 This award is given to parking facilities that have achieved the requirements of a risk assessment conducted by Police and the British Parking Association. 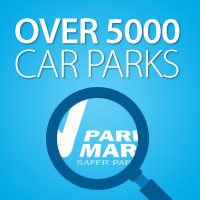 The Safer Parking Scheme, managed by the BPA, awards the Park Mark to facilities that have measures in place to create a safe environment. Police Accredited Assessors undertake a site specific risk assessment looking at the management and maintenance of the facility and checking that there are appropriate levels of surveillance, lighting, signage and cleanliness, thereby reducing the opportunity for crime.